2.5 hours of posed and candid photography. Photographer arrives 1 hour ahead for a special photo shoot of the guest of honor and immediate family and decor shots and stays 1.5 hours into party. 2.25 hours of posed and candid photography. Photographer arrives 45 minutes ahead for a special photo shoot of the guest of honor and decor shots and stays 1.5 hours into party. 2 hours of candid photography. Photographer arrives 30 minutes ahead for decor shots and stays 1.5 hours into party. 45 minutes of posed and candid photography. Portrait Sessions are available on a limited basis. Sessions are held at a local location chosen mutually by the subject(s) and photographer. Digital Images are $10 per individual image, or $149 for the entire session. For details on these products, including descriptions and production time, please click here for a printable information sheet. 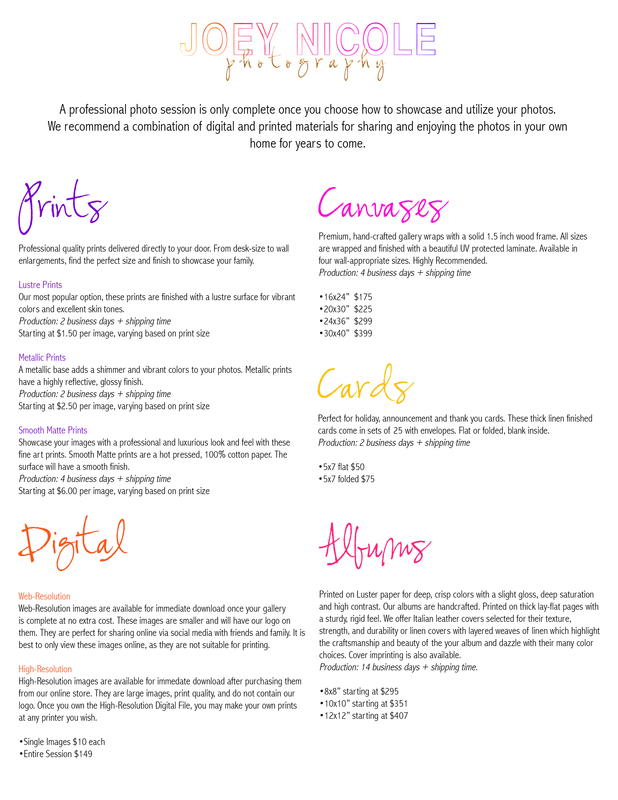 50% of the photography fee is required to guarantee your event. The remaining 50% is due by the date of event. A special online store for your event will be available after processing is complete. You may download high-res digital images or purchase downloads online (based on your package details). Prints and products may also be purchased online.